Domain Name System (DNS) is now playing an important role in Unified Communications whether you are using Cisco Unified Communications Manager, Cisco Unity Connection. Cisco Contact Center Express, Cisco IM & Presence, Expressway C or Expressway E etc. 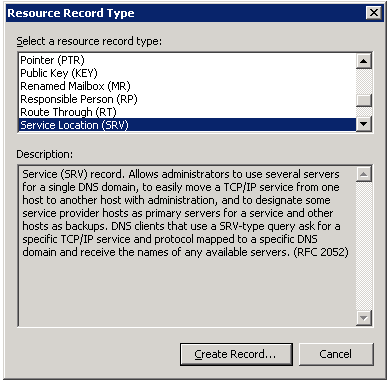 SRV (Service Record) – SRV Records are used to help with service discovery and most commonly used with SIP configuration. The naming pattern basically starts with an underscore followed by the name of the service, followed by a period, and underscore, and then the protocol, another dot, and then the name of the domain. So, in today’s article, we will see how DNS SRV would help us? 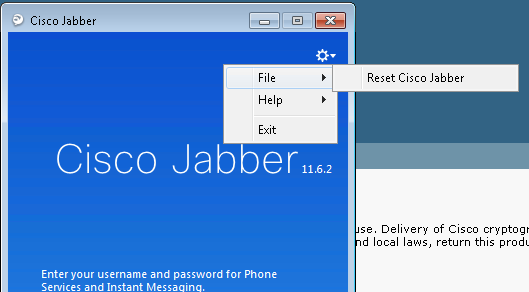 When we deploy Jabber, we manually feed the IP Address of Cisco Unified Communications Manager / Cisco IM & Presence in Jabber Advance Settings. We can configure DNS SRV which will help in getting the services discovered automatically. Once the configuration is completed, we don’t need to fill the IP Address of CUCM/IMP. We will leave the account type as “Automatic” (default) and it will itself discover the IP Address of CUCM/IM&P. 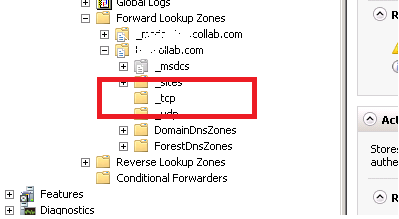 Assumptions : I hope you have configured DNS Server, Forward Lookup Zone and Reverse Lookup Zone and added entries for Unified Communications servers like CUCM, IM&P, Unity Connection, Contact Center Express etc. Now, it’s time to create DNS SRV records for your Jabber. In your DNS Server, expand Forward Lookup Zone, expand your domain. You would see something like _tcp . Similarly you can add your CUCM Subscriber Hostname by creating a new SRV Record. Note: The highest priority returned record will be used for Jabber Service. If you have more than one CUCM Server, you can change the priority attribute to use that server for the service. The output displayed the information for the _cisco-uds SRV record that was built. Enter your Username@yourdomain.com and click on Continue. It will try to find services. Enter your Username and Password and you should be able to login. 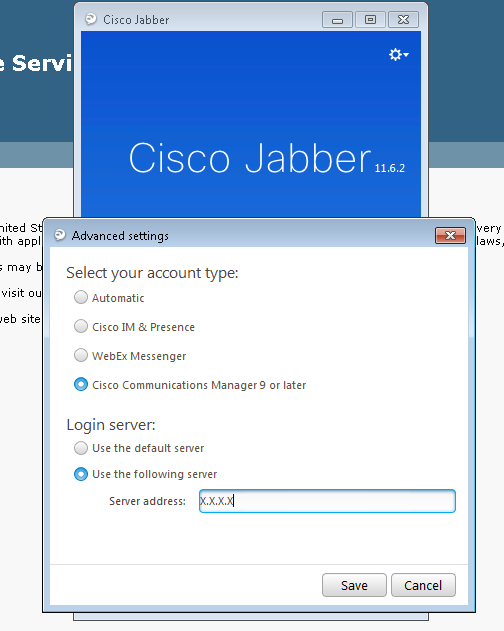 I hope in this process you realized that have not defined any IP Address in Jabber Advance Settings and you are able to login successfully.